Why not join the Payne County Audubon Society? The easiest way to join the Payne County Audubon Society is to join the National Audubon Society. The first thing you might want to know is that the National Audubon Society received 4 out of 4 stars and an 92/100 rating from Charity Navigator in 2017. This excellent rating provides assurance that the great majority of your support goes directly to conservation and education programming. When you join the National Audubon Society, your ZIP code will identify the Payne County Audubon Society as your local chapter (chapter code C4Z T05 0Z). For every member in the zone of ZIP codes tagged for the PCAS, we receive real financial support from National. Thus, the more members we have, the more we can do! 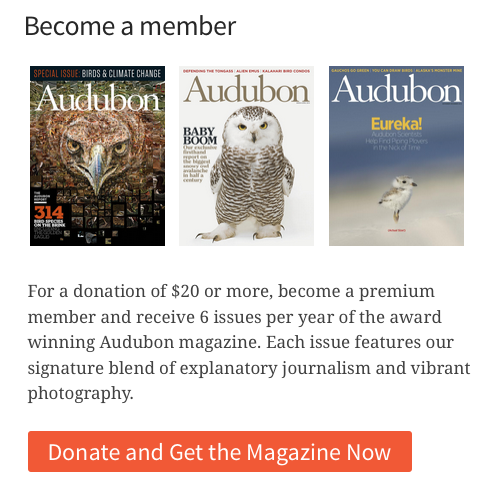 Join Audubon: Help birds, do cool stuff, get a great magazine. Note that you do NOT have to be a member to join us for field trips, attend meetings, or participate in any of our other events.